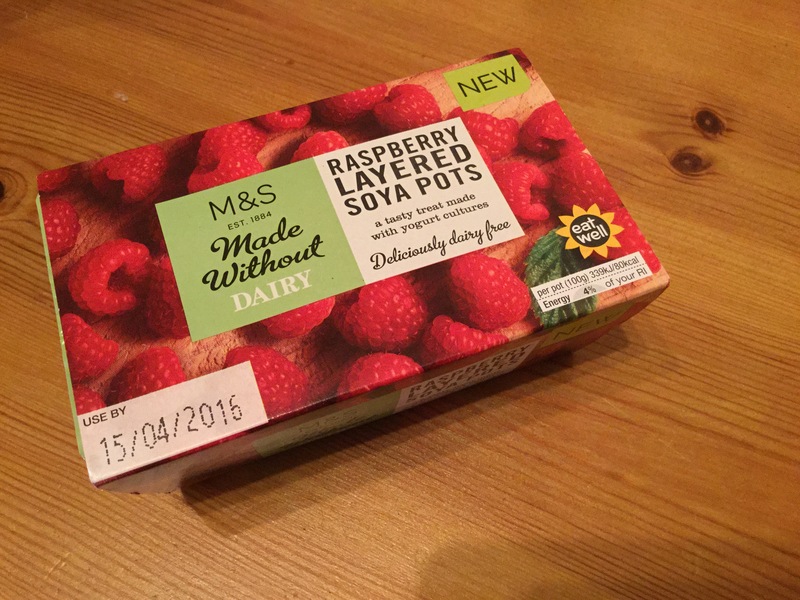 As you may, or may not, of heard M&S are bringing out a whole new range of fresh free from products. These are starting to filter into my local store (Stratford Maybird if you were wondering) . I saw these and at £1 for the two thought I’d try them. Nth only thing I’d say is although the packaging is fresh, colourful and eye catching the information on it is slightly misleading. The “Eat Well” logo is proudly on display and only 80 kcal etc etc. This is all well and good, but if you read the nutritional information on the back each pot actually contains 11g of sugar so not quite as healthy as you are lead to believe. Enough of me being picky though, I know the crux of this post is how does it taste? Out of the mouths of babes, my little one took one mouthful and loudly stated “mummy it’s nasty” so not a hit with her. My thoughts are its slightly insipid. It looks and smells rather inviting, and the fruit layer was quite pleasing to the taste buds ( all that sugar I guess) the soya does leave a funny aftertaste in your mouth which I didn’t like, but if you like soya then give it a try. I prefer the coconut based dairy free yoghurts such as Koko or Coyo, but these are reasonable and offers another dairy free choice- although not for my household I’m afraid. Have you tried these yet? Let me know what you think. As its National Breakfast Week I shall endeavour to put a few posts up of different breakfast ideas for you all to try. 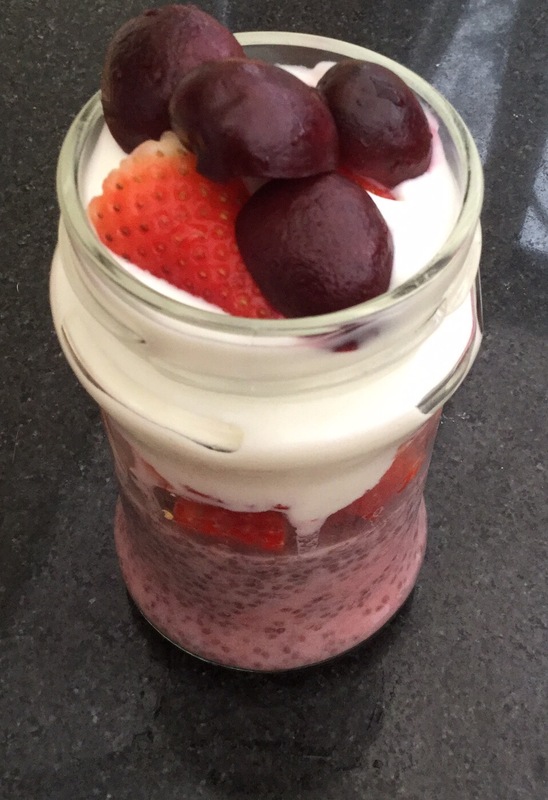 The first is this chia pudding, well I call it a pudding but it can be what ever you want it to be called. The main point is it’s easy, best done the night before which means more time in the morning, and these little seeds are packed full of nutrients such as calcium, magnesium and iron so they are really good for you are well. The strawberry also gives this dish a pink tinge so it’s really pretty as well. 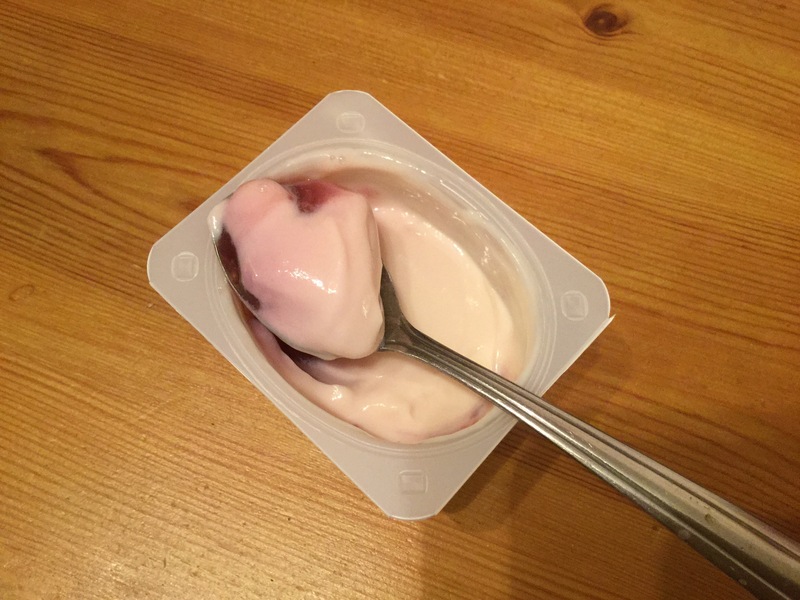 3-4tbs yogurt either Greek style, soya or Coyo work well. Cover and leave for 4 hours or overnight. In the morning put a layer of fruit, then yogurt, then top with fruit again and seeds or nuts if you choose. The beauty of chia puddings is that once you get the ratio of seeds to liquid right, then any combination of flavours work- so you can experiment to your hearts content. Have you tried any other flavours? What are your favourites? Let me know in the comments below. 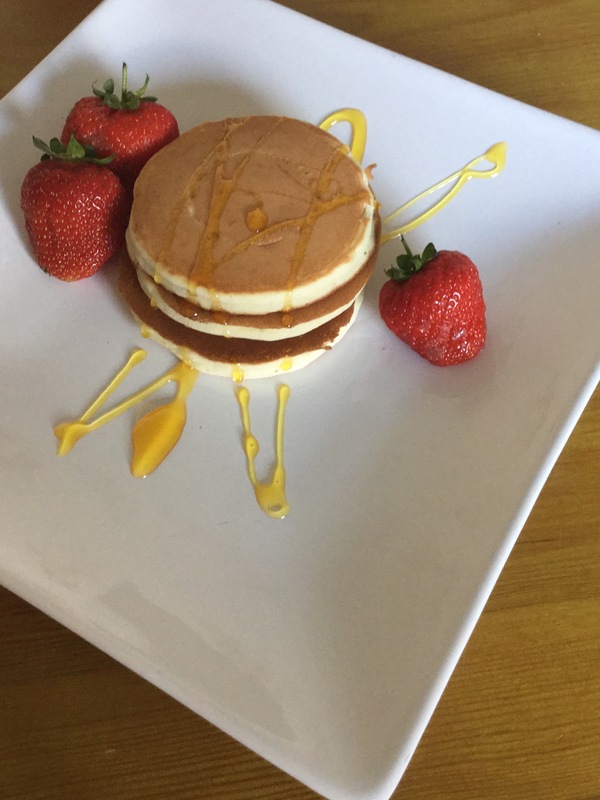 Since autumn is starting to close in and the mornings are getting cooler, what better reason is needed to try a warm pancake or two for a breakfast treat on a weekend morning. 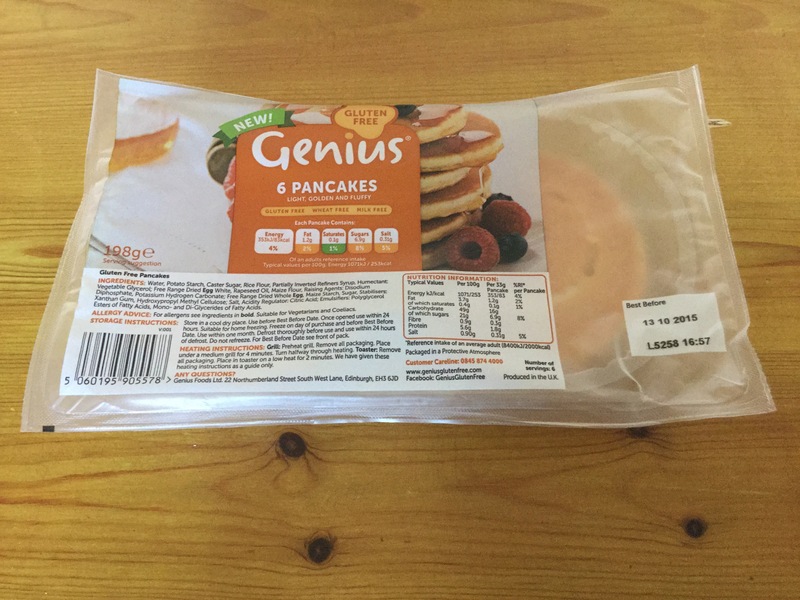 Too damn right I thought to myself, and as it happens Genius has been having a revamp of their recipes and launched a new pancake. I spotted them in my local waitrose and they just happened to fall into my trolley (oops). At £1.69 I thought it was a good price as well. I’ve paid £2 for similar products before. I like the new packaging as well I must say, it’s clear and all allergens etc easily spotted. They are easy to cook either under the grill or in a toaster and are large enough to feel satisfied after a couple- by all means go for it and have a stack as well, which is perfect for a family breakfast. I liked the fact they are light and fluffy in texture and don’t leave a funny artificial sweet taste in your mouth as others I’ve tried have. Another bonus is they are both gluten and dairy free. They, of course, lend themselves to be served with fruits, golden or maple syrup, lemon and sugar, what ever takes your fancy. Go for it and experiment. Another thing on my todo/ try list is to incorporate into a dessert but that’s for a later post. Have you tried these pancakes yet? If so let me know what you think in the comments below.